As you know, the Wakeboard is an extreme sport that comes from the fusion of water skiing and Snowboarding. For its part, the Wakeskating is a sport based on an adaptation of wakeboarding but unlike it, its practitioners use a board similar to a skateboard (obviously without wheels) but a little larger and wider than wakeboarding. Normally this table is covered by a rubber. 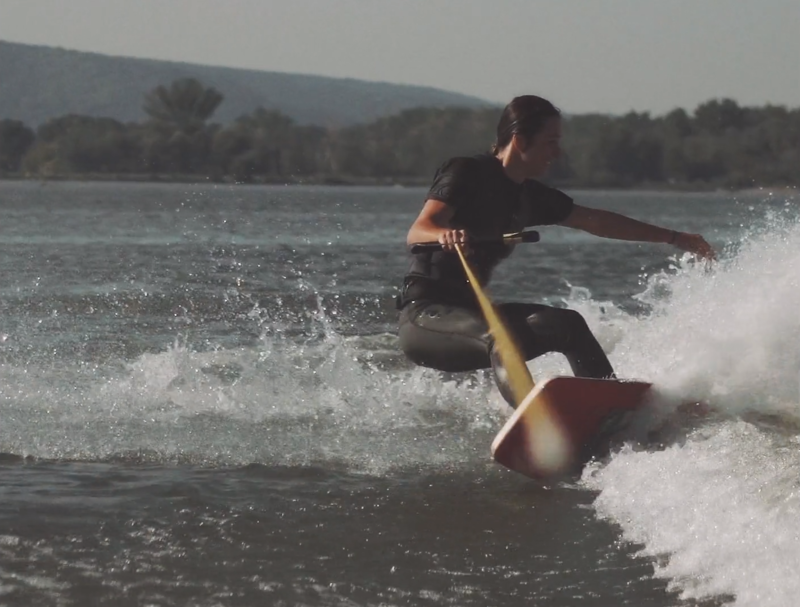 The Wakeskate comes from the mix of the Wakeboard and the Skateboard. At first they started with tables similar to those of Wakeboard until they discovered that it was possible to make them smaller and thus have more agility in the tricks, the sport was evolving until now. Originally, the Wakeboard consisted of moving in tow from a boat with a board similar to the one of Surf or Snowboard, where the rider is tied with some bindings to the board and performs a great variety of pirouettes using the waves produced by the ship … In the Wakeskate the rider can go without bindings, simply with shoes similar to those of the Skate but lighter and with leaks for water. In the Wakeskate we can perform almost the same tricks as in the Skateboard such as Kickflips, Shovits, Manuals, Handrails, etc. There is a wide variety of Wakeskate boards, both in form and manufacturing materials. By way of example a By-Level are two boards together, usually made of wood, or a Waterfront with nose and tail with four keels … more similar to the Skateboard. One of the first wakeskates to appear in the press was the French Alexandre Barnoin (who was double European champion in this mode) in the magazine Wakeboarding. Since then both the Wakeboard and the Wakeskate have evolved in many aspects, with the construction of great wakeparks around the world and with great innovations such as electric boats, detachable cables, etc. and we hope it continues like this. One thing is clear, every time there is more level between the riders and more fans of this incredible sport. One of the great advances, not only of these disciplines, but also of extreme sports in general, is that every day, more girls join their practice, and can be as good athletes as any boy, even if there are not many girls Famous Wakeskaters, but surely there will be soon! Surfing the waves in this way is not easy, therefore, the Wakeskating is a great physical activity for girls, because their practice is a complete exercise, one hour of wakeskate is equivalent to 3 hours of gym. In short, the girls also know how to have fun Wakeskating!